exclusively by North American Bear Co. 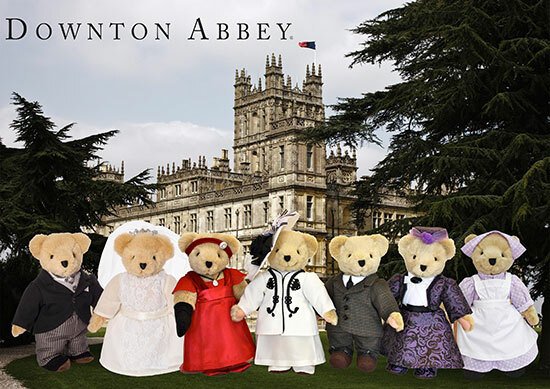 The first edition of DOWNTON ABBEY COLLECTIBLE BEARS will have a LIMITED release, available on a first come first serve basis only, so hurry and order yours today - don't miss out on this incredible opportunity to start your collection of these highly sought-after collectible bears! Downton Abbey Lady Mary Crawley by North American Bear Co. (6617) - FREE SHIPPING! Downton Abbey Mrs. Patmore by North American Bear Co. (6642) - FREE SHIPPING! Downton Abbey Violet Crawley, Dowager Countess of Grantham by North American Bear Co. (6616) - FREE SHIPPING!